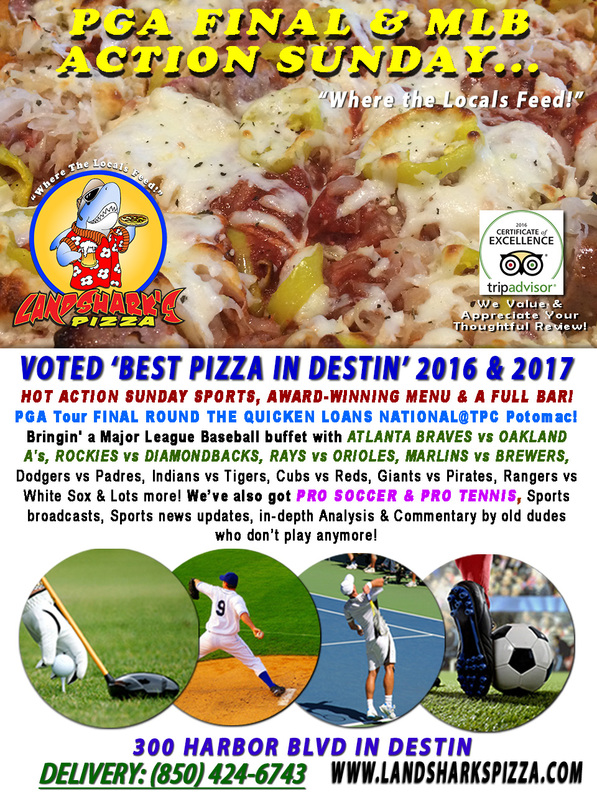 / Best Pizza In Destin Florida / Catch the COKE ZERO 400@DAYTONA|$8 Pitchers, $12 Buckets & More Specials, Quicken Loans Golf, MLB, & Action! 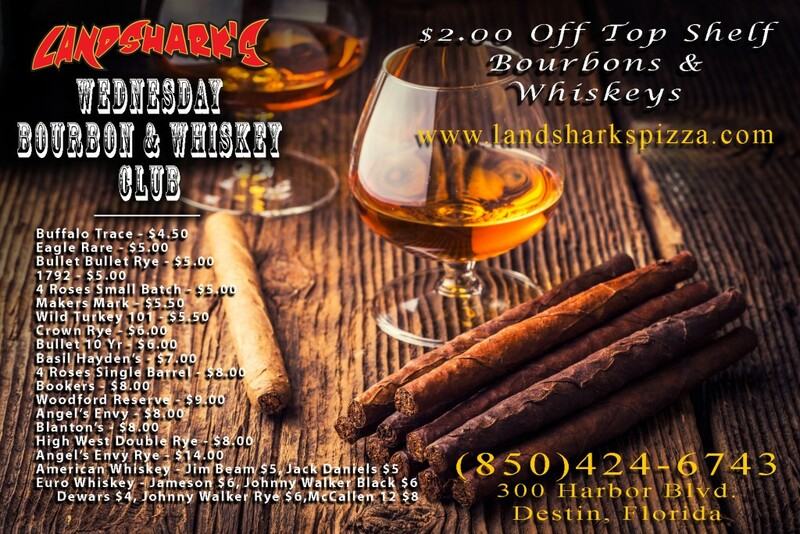 Catch the COKE ZERO 400@DAYTONA|$8 Pitchers, $12 Buckets & More Specials, Quicken Loans Golf, MLB, & Action! 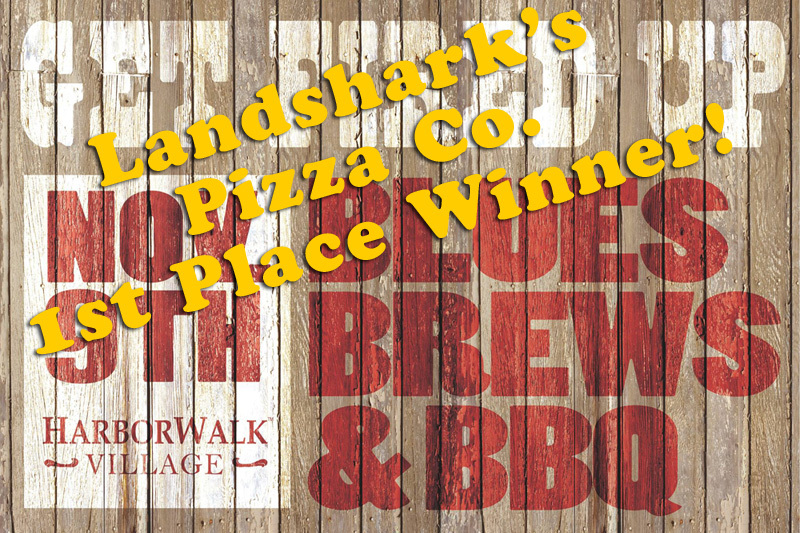 We’re gearing up for some Independence Day Weekend fun in Destin with the hottest sports action while enjoying Award-Winning Pizza, Award-Winning Wings, Award-Winning BBQ, a smargasbord of appetizers and a FULL BAR! 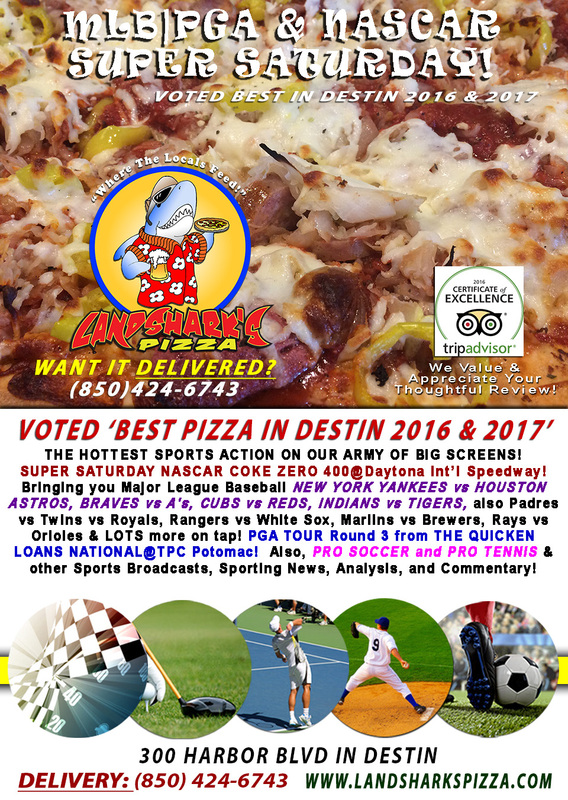 SPORTS ON OUR ARMY OF BIG SCREENS – Major League Baseball on deck featuring NEW YORK YANKEES vs HOUSTON ASTROS, BRAVES vs A’s, CUBS vs REDS, INDIANS vs TIGERS, Twins vs Royals, Rangers vs White Sox, Marlins vs Brewers, Rays vs Orioles & LOTS more on tap! PGA TOUR Round 3 action from QUICKEN LOANS NATIONAL@TPC Potomac! 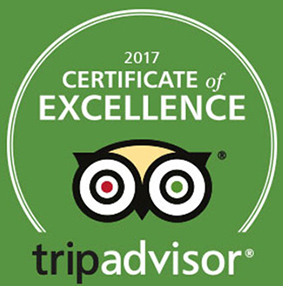 Also, PRO SOCCER and PRO TENNIS coverage plus plenty of other Sports Broadcasts, Sporting News, Analysis, and Commentary! 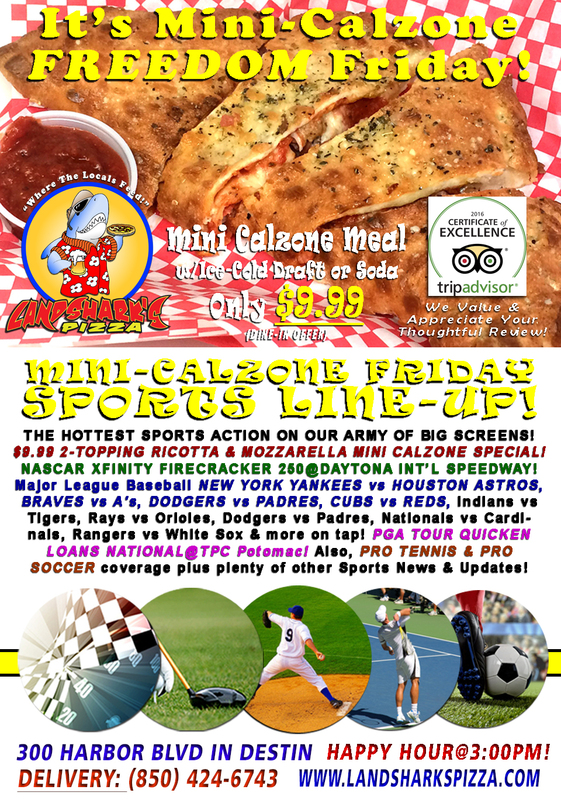 Previous Post: « Freedom Friday XFINITY Racing, PGA Quicken Loans, MLB & $9.99 Ricotta|Mozzarella 2-Topping Calzone Special!